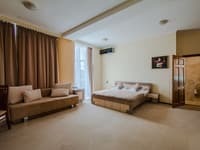 Business class apartments are located in the heart of the capital, in 3 minutes walk (650 m) from the metro station Khreshchatyk, near the Independence Square (800 m). Spacious, comfortable apartments with a living room and a bedroom, decorated in a laconic modern style. The kitchen is equipped with all modern amenities, including a dishwasher. 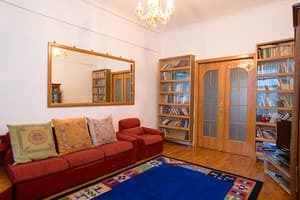 Description of the room: 3-room apartment in the center of Kiev is located along Khreshchatyk Street. 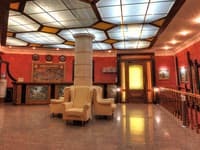 To the metro station Khreshchatyk - 3 minutes walk, near Independence Square. In walking distance you will find a variety of historical monuments, museums and cathedrals. Also you can visit popular brand shops, restaurants, TC "Globus" and Bessarabsky market, working around the clock. 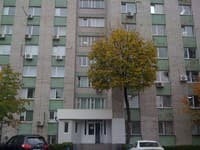 Apartment in the center of Kiev daily will provide you with the most comfortable conditions for recreation. The apartments are located on the fifth floor, all the windows overlook the famous Khreshchatyk. The apartment has two separate bedrooms, each with a double bed and wardrobes. 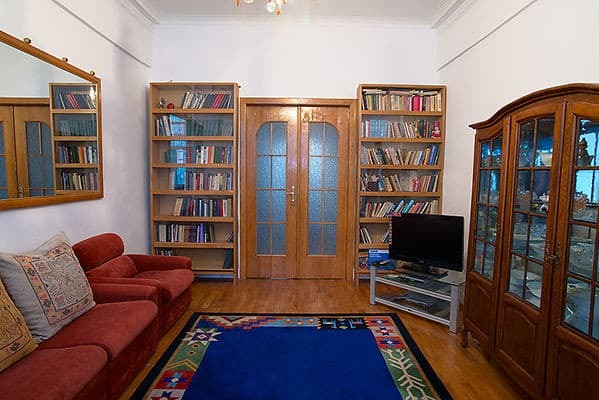 In the living room there is a sofa, which is laid out in the style of a French clamshell, and chairs, there is a small library, a TV with digital TV and DVD. 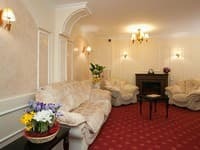 For a comfortable environment, the room has air conditioning. In the kitchen there is built-in garniture furniture, a stove with an electric oven and extractor, a refrigerator, a microwave, an electric kettle, a TV with digital TV. Separate bathroom, convenient mirror lockers, hairdryer. In the pantry you will find a built-in AGR. In the hall there is a mirrored wardrobe. There is internet, iron and ironing board. Чистота и уют на очень хорошем уровне,интернет и спутниковое ТВ.Удобное месторасположение. Check arrival: from 14:00 - 15:00 hours. Check leaving: to 12:00 - 14:00 hours. There is a kitchen where you can cook yourself. 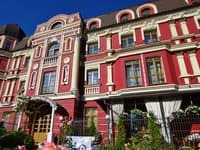 The apartments are located in the center of Kiev. The nearest metro station is Khreshchatyk. The distance from the railway station is 3 km, from the airport Borispol - 36 km. From the metro station Teatralnaya on foot to the address. The journey takes about 5 minutes.